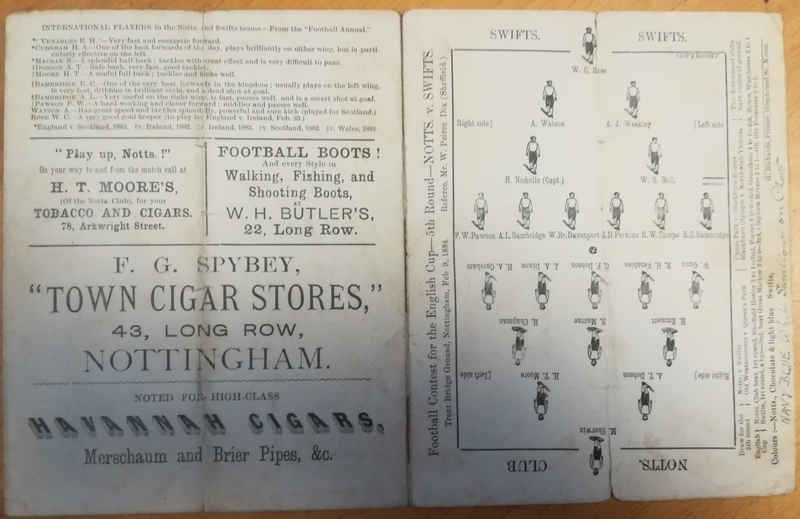 This is a fantastic Victorian era FA Cup programme we picked up earlier this year at auction featuring Notts Count and Swifts FC. The two sides played out a 1 – 1 draw at Trent Bridge Ground in the quarter final match, with County winning the replay on 14th February 1 – 0. Swifts FC eventually morphed into Slough Town FC, after an 1890 merger with the Slough Albion & Young Men’s Friendly Society. They had several players of note amongst their ranks, most notably Charles Bambridge who played 18 times for England. His brothers Ernest and Arthur also played for Swifts. 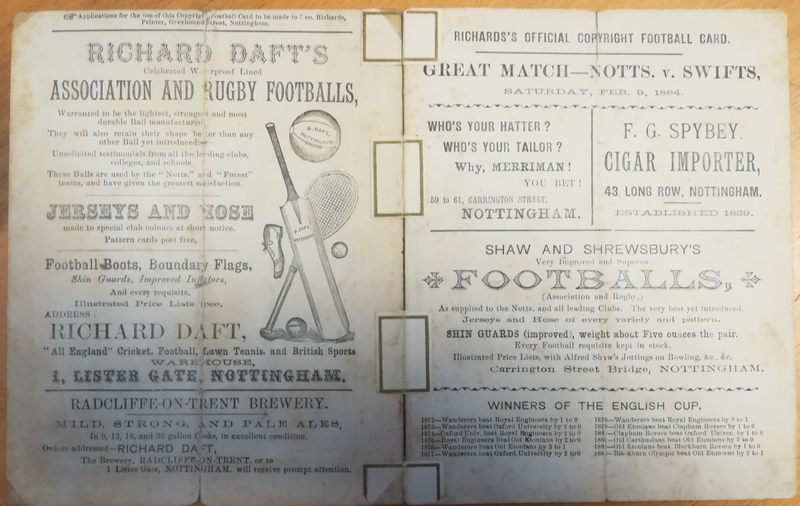 He allegedly scored in a cup tie while playing with a broken leg, and captained England to a record 13 – 0 win over Ireland in 1882.